Hospice and palliative care are strikingly similar in many ways, yet they do have some key differences. While both types of care focus on improving quality of life for the individual in need, hospice refers to end-of-life care and palliative care can be given at any time in conjunction with treatments. In both instances, hospice and palliative care work to provide relief. Here are some of the key differences between hospice and palliative care. When is care needed? At the top of the list is time. People generally seek hospice when they are close to end-of-life—this can be due to a terminal illness or old age. In order to participate in hospice care services, patients must be within six months of death, according to what their healthcare provider thinks based on the usual course of the disease. It can be difficult for doctors to predict how long an older or sick person will live. Sometimes, care may be beneficial for more than 6 months before dying. If a person does not pass when doctors predicted they would, Medicare can extend coverage. An individual may also leave and return to hospice services if their healthcare provider believes they have less than 6 months to live. On the other hand, palliative care can be given at any time—even when a person is not near end-of-life. Palliative care services can be sought out by any patient throughout their entire life and during any stage of illness. It may also performed at the same time as diagnosis or curative treatment. Where can I get care? Hospice and palliative care services can be offered in a variety of settings. Hospice care can be given in the home, though they are often located in hospice facilities and nursing homes. Palliative care can be given in the home, a hospital, or an extended care facility. 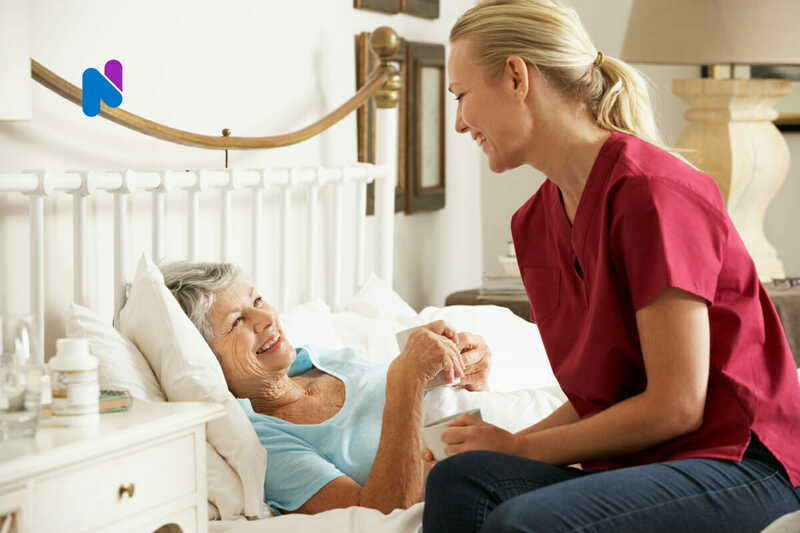 NurseRegistry has private duty nurses that can provide hospice or palliative care in the home, or as supplemental care in a facility. You may notice a lot of overlap between the list of services for hospice care and that of palliative care. Both aim to provide relief to patients. However, the main differences have been bolded. Primarily, palliative care nurses assist with pain and symptom management, and provide education on long-term coping strategies. How much will it cost? Hospice services are generally paid for by Medicaid, Medicare, and insurance companies. Palliative care is private pay or covered by insurance. NurseRegistry offers private pay palliative and hospice care services. We do work with clients to assist in reimbursement from both primary health and long-term care insurance. Patients should contact their individual insurance carrier to confirm eligibility. Looking for hospice or palliative care services for yourself or a loved one can be overwhelming. Our nurses provide an extra layer of support so that your family can focus on what’s important. We can provide short- or long-term palliative care for ill patients, hospice care, or respite care for family caregivers. To learn more, visit our Hospice Care or Palliative Care pages. Or, call us at (650) 462-1001 and one of our Care Coordinators will be able to answer any questions you have. The National Hospice and Palliative Care Organization offers many resources for quality end-of-life care. Vitas is a healthcare company that is home a hospice and palliative care resource library. Rainbow consists of a variety of resources and offers education as well.